Retro Style Apron Pattern by Vanilla House Designs. 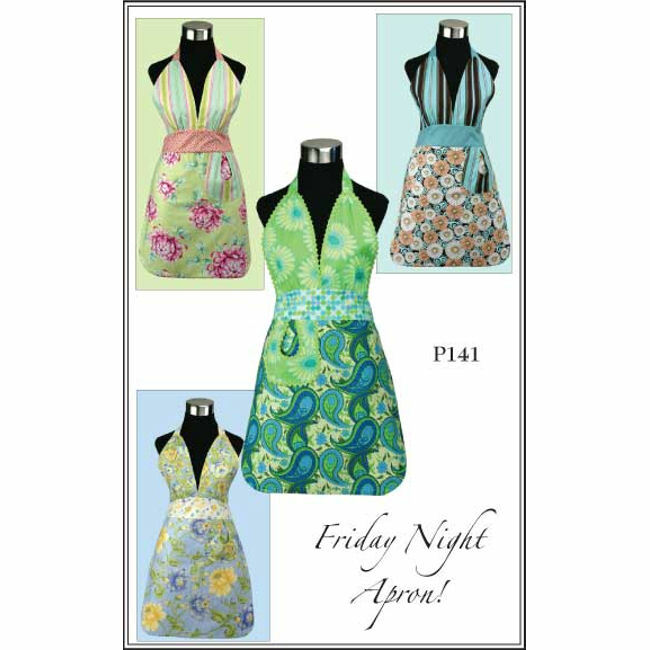 The Friday Night Apron Sewing Pattern from Vanilla House Designs is a flattering halter-top apron design with front pocket embellishment. Use trendy, modern or retro fabrics to create your own version of this stylish apron! Pattern comfortably fits sizes 4 to 14. Vanilla House patterns use a length x width cutting style technique - rotary cutting tools are recommended. Diagrams and complete instructions included. Designed by Barbara Brunson.